Following the eastward expansion of the EU, countries like Bulgaria and Romania are progressively cracking down on those that try to cross their borders and rampantly working against freedom of movement. The Bulgarian government’s current target date for joining the Schengen zone is 2012. to be able to join, Bulgaria would have to increase restrictions on people migrating, as well as increase the militarization of the border. Already, detention centres are being built. Following the participation of Bulgarian border police in FRONTEX operations along the Greek-Turkish border, there is talk of extending the agency’s operations to the border between Bulgaria and Turkey. These developments, together with the deterioration of the migrants’ situation in neighboring Greece, are the two immediate reasons for organizing a No Border camp at the border between Bulgaria, Greece and Turkey this month. 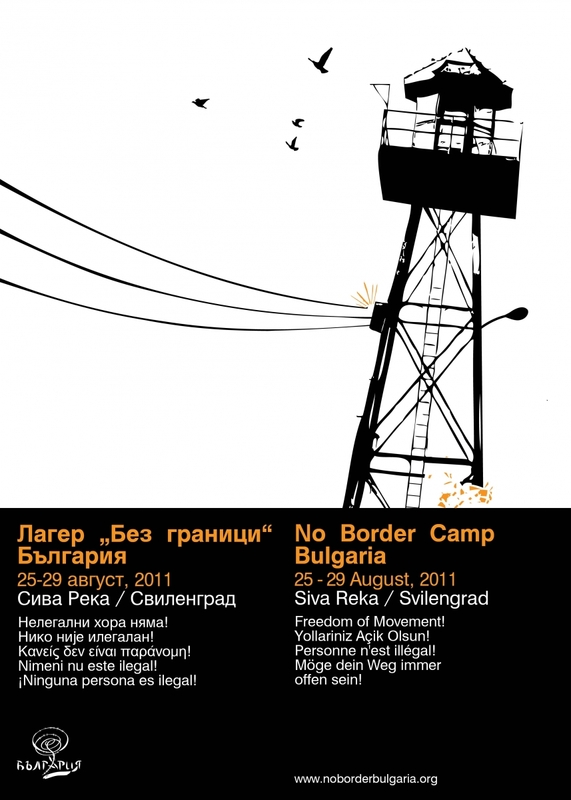 The NoBorder camp Bulgaria will take place between the 25th and the 29th of August, 2011.